Manchester United winger Jesse Lingard has been moonwalking again after recently pulling out Michael Jackson’s best moves after celebrating a goal against Arsenal in the FA Cup. The England international notably Milly Rocked against the Gunners in the 3-1 win at the Emirates Stadium last season, and just seems to really love celebrating those goals in north London. 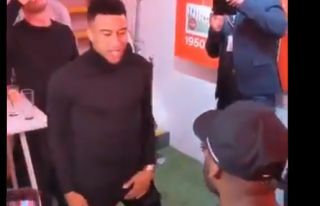 At some kind of event in the video below, Lingard can be seen moonwalking again to the tune of Billie Jean by Michael Jackson. This guy truly is a great player and top entertainer as well!